Listen up me ‘earties. Yo ho! 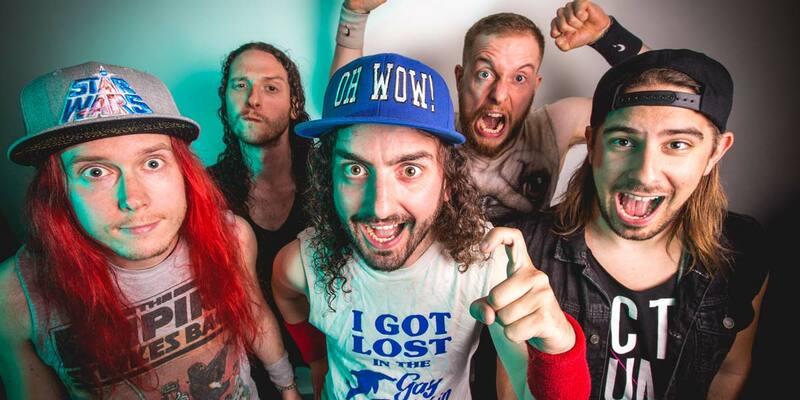 Don’t so easily dismiss Scottish Pirate Metalers ALESTORM as just a gimmick. These guys can cook. Their 2017 album ‘No Graves But the Sea‘ is a grand, hook filled showcase. Who said that silly and fun in Heavy Metal can’t compete alongside all that brooding rage? Mixing the speed and soar of Power with eclectic Folk instrumentation and Deathly growls into sea shanty melodies offers a variety often missing in more “traditional” acts. Thematically things remaining firmly planted in romanticized Pirate cliche and a general, total irrelevance. PotC’s “Black Jack” is clear inspiration. Highlights include the infinitely hummable “Bar und Imbiss“, the storming title track, and an accordion-ized “Pegleg Potion“. While SKYCLAD’s ghost haunts the Thrashy “Rage of the Pentahook“. And you’ll be sheepishly grinning as the quirky “Mexico” entices with tequila and a donkey show. Yo ho! There’s even Power-Prog with epic closer “Treasure Island“. Still, it’s really hard to take any album/band seriously with a track called “Fucked with an Anchor“, shrug. 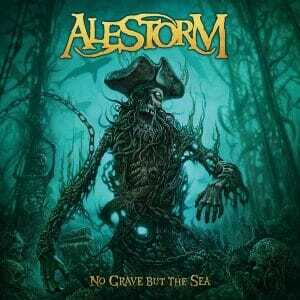 ALESTORM storms the decks with a take no prisoners attitude in ‘No Graves But the Sea‘. Pirate Metal done right. Arghhh! –There’s a CD version that has an entire bonus disc of these songs mixed with barking dogs vocals–no joke. Lol! A festive, irreverent celebration of everything that Metal music should be. Folksy shanty hooks, laugh out loud lyrics, and abundant shred and riff.